The causes of back pain are often multi-factorial, which can make the process of back pain diagnosis extremely complex. While some diagnoses of back pain are more straightforward, such as tumors, fractures, and infections, there are many for which spine specialist find little agreement on. Accurate back pain diagnosis is important because it guides the approach to treatment. The sooner a diagnosis is made, the sooner you can find the proper treatment for pain management and improvement in everyday life. If you decide to visit a doctor for your back pain, you will be asked a series of questions. These questions could include the time when symptoms occurred, how long they lasted, a description of the pain, which activities lead to pain, which positions increase pain, etc. Additionally, the doctor may ask you which treatment(s) brought you pain relief in the past and if you have taken any medications. A thorough physical exam is a must when diagnosing back pain. This includes testing the patient’s muscular strength in the arms and legs, nerve function, levels of pain, and more. Usually, it is these tests that give the doctors the best perspective on what the problem may be. Diagnostic testing can include a CT scan, MRI, and X-rays. These are recommended in cases where the doctors need to confirm the cause of pain through imaging techniques. An MRI uses a magnetic field and radio frequencies. The aim is to create a picture of the organs, soft tissues, and bones of the patient. 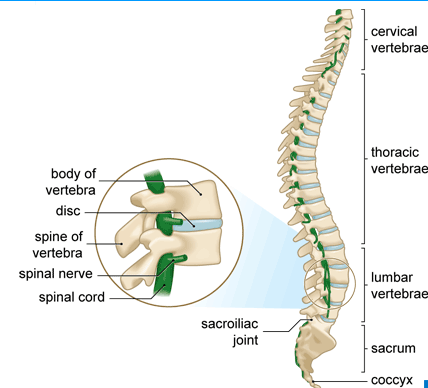 Additionally, this imaging technique allows the doctor to examine the vertebral discs and spinal nerves, which are commonly affected when a patient is suffering from this condition. Use of this test for diagnosis is controversial. Many experts and researchers believe that the abnormalities it reveals are often unrelated the patient’s pain. That being said, use of MRI can provide extensive information that cannot be determined otherwise, and it can be a key part of many diagnosis. X-rays are a form of radiation that focus radio waves into a beam. This type of radiation has the ability to pass through the human body and create images of dense structures. This image is sent to a computer for a medical professional to analyze. Bones and other dense tissues absorb the x-rays and appear in shades of white on the image. Tissues that are less dense, including many organs and muscles, appear as shades of gray on the image. In the case of back pain, X-rays can be used to create images of the vertebrae, skull, and hips, which are often used to inform the diagnosis of injuries and disease. These could include infections, dislocations, spinal fractures, tumors, disc disease, scoliosis, and bone spurs. Thoracic Spine X-ray. This is an image of the thoracic bones, which are located near the chest. There are 12 thoracic vertebrae total. Cervical Spine X-ray. This is an image of the cervical bones. There are 7 cervical bones in the human body and these are located in the neck. Lumbosacral Spine X-ray. This X-ray includes images of the vertebrae in the lower back, known as the lumbar vertebrae. There are 5 lumbar vertebrae in the human body. Additionally, it takes pictures of the 5 fused vertebrae in the sacrum, which is located at the bottom of the spine. Coccyx X-ray. This is an X-ray of the sacrum and tailbone. The tailbone is also called the coccyx. These X-rays are typically done to determine the cause of a weakness, numbness, or ongoing pain, checking for arthritis between the vertebrae or discs degeneration, checking for dislocations, fractures, infections, bone spurs, or tumors, and checking for scoliosis, congenital conditions, or changes that occur after a spinal surgery is performed. This type of image is also called a CAT scan. It can be thought of as a more detailed X-ray and provides doctors with a better picture of the structures under investigation. CT scans are generally used to rule out major problems, but are not considered to be the most effective of all tests for back pain diagnosis. In most cases, the patient’s back pain symptoms disappear or get better. If the back pain persists, the doctor must look for a more detailed picture of what the pain may be caused by.